One of the most popular movies around the holidays and christmas season is Home Alone. In this episode we take a more in depth look at the some of the best scenes and what they can teach us about family. The scenes shown are used under the creative commons license on YouTube. For Value, Entertainment and being a part of a Movement, tune in every week for Pats Five and Valuetainment Weekly with Patrick Bet-David. “Thank you.” That was pretty easy, wasn’t it? It’s a simple phrase that sadly is not said enough in our day-to-day lives. But as we gather with family and friends this holiday to give thanks for those we don’t see often enough, and thanks for the blessings we receive in our lives every day, there’s something else that myself and many other proud men and women in this country have to be thankful for: our service to this country in the armed forces. Members of the military give everything they have to our country for the entire length of their service. They will make any sacrifice, including life itself, to defend and preserve our freedom. For all that is given, I still believe that much more is received from being in the service. The list of attributes a veteran possesses is lengthy, but is life-changing in so many ways. The military serves as an incubator for leadership. Veterans are the most highly sought out demographic for executive positions across the spectrum of industry in the civilian workforce. Besides a vast array of specialized, often cutting-edge training provided in the military, a veteran’s experience in leading and in effective teamwork is so thorough and in depth, that they are a natural asset to any company or community. Having that background gives a veteran many opportunities upon returning to civilian life. Another benefit of being in the armed forces is that you are a member of the best fitness club in the world. The physical routine of military life is a great way to stay in shape, and many servicemen and women maintain a high regimen of physical fitness after they leave active duty. Living a healthy lifestyle reaps so many rewards and soldiers have this way of life ingrained within them. The military also strengthens a soldier mentally, preparing him to handle the most pressure-packed situations known to mankind. This physical and mental training are definitely things to be thankful for. Finally, there is something even more important for veterans to be thankful for: freedom. Every veteran understands that there are constant threats to our country and our way of life. 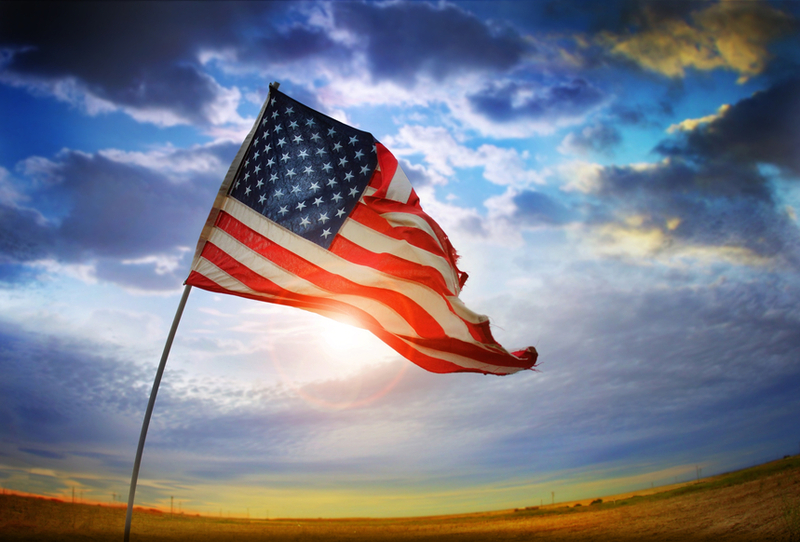 Whether they’re based within the United States guarding our domestic soil, or overseas and have witnessed the bloodshed and violence of an armed conflict, a veteran truly understands how lucky and blessed we are to live in the land of the free. We live in a country that offers so much and sometimes we take many of these things for granted. Veterans fought and died to give us these choices. They know (and many have personally seen) the poverty and starvation, the tyranny and despotism, that many less fortunate people in the world live with. I grew up dreaming of coming to this country. Once I was finally able to, I was so proud that I wanted to serve in any way I could, so naturally I joined the armed forces. I want to say how thankful I am to this country for taking me in as one of its own and for all the opportunities I’ve had here. For all the blessings we receive every day; for our freedom, for our country, for each other, for our armed forces and to all the veterans – Thank you! Patrick Bet-David is an entrepreneur, author and self-made success. His intriguing perspective on opportunity is colored from his experience as a young immigrant escaping war-torn Iran in the late ‘80s. He embodies a true rags-to-riches story that saw him first serving in the U.S. military, and today is the CEO of the PHP Agency, one of the fastest growing companies in America. Valuetainment Weekly Episode #10: Pastor Dudley Rutherford Senior Pastor at Shepherd of the Hills Church, shares a message dedicated to Thanksgiving Day. Dudley Rutherford is the senior pastor of the Shepherd of the Hills Church in Porter Ranch, Los Angeles, California, USA. This is a nondenominational Christian “megachurch” with 8,000 attendees at its services each week.